There are more breweries and brewing companies in Australia than at any time in the country's history. Brewers are making a phenomenally kaleidoscopic range of beers, and quality, for the most part, is on the up. Beer lovers can indulge their every whim at more venues and festivals than ever before too. So, while 2016 is generally agreed to have been an all round bummer for the planet, it's a time for unalloyed joy and celebration for the beer community that The Crafty Pint looks to cover, celebrate and dissect. Or is it? Are we entering an era of beer utopia? Or is it worth peeling back the skin – that beautiful, sparkly, barrel aged, fruit infused, hopped up skin – and taking a look at what lies underneath? The start of any year is typically a time to look ahead with positivity to great times ahead, whatever has come before. 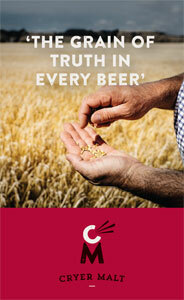 And there are plenty of reasons to be positive about the state of play in the Australian craft beer world. Yet, if something approaching utopia is to be reached, there are a few bumps in the road to be navigated. So, as 2017 gets underway, here's some food for thought. It's nigh on impossible to keep track of how many breweries, gypsy/contract brewing companies and beer brands are in operation across Australia today. For the sake of argument, let's say it's in the region of 500. To put that into context, when The Crafty Pint started out in late 2010, there were around 100; head back past the birth of the contemporary craft beer scene in Australia at the Sail & Anchor and there was a time you could count them all on your fingers and thumbs. There's nothing to say Australia's beer drinkers aren't capable of servicing 500 brewing companies – or indeed more – but we'd suggest that point is some time in the future, not now. For the first few years that we were involved in the craft beer industry, it felt like the various elements of the industry were growing in pretty sweet harmony: new brewers were entering the market and existing ones were growing fast at roughly the same rate as awareness of this alternative to industrial lager and the outlets supplying it was increasing. Over the past two years, however, there's an inescapable feeling that the line on the graph indicating volume of craft beer being brewed in Australia is diverging upwards from that indicating demand. We'll come to some of the potential symptoms of this below but it means there's increasing competition for what tap points and shelf space are available and this has knock on effects. 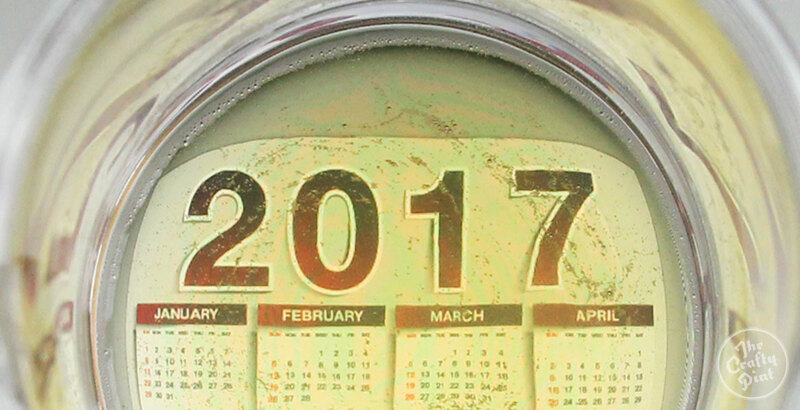 Without a doubt, we will see businesses fold in 2017. Already there have been some that have fallen by the wayside, albeit some so short-lived or small in scale that you'd be forgiven for not noticing. 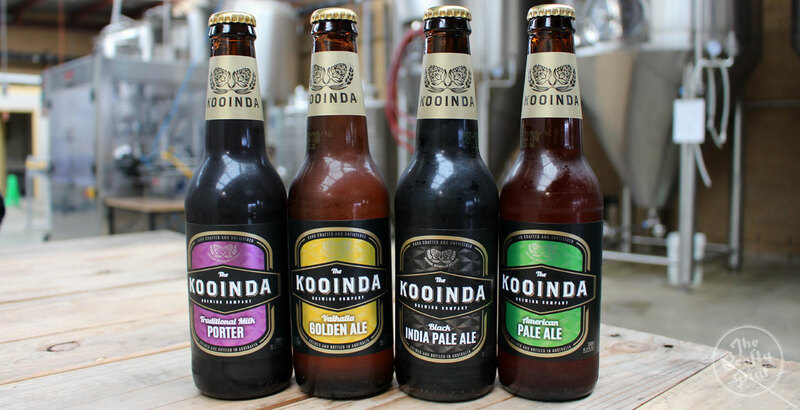 There have been changes in ownership in 2016 at long established breweries in 2016 too, such as Kooinda in Melbourne and The Little Brewing Company in Port Macquarie. But expect to see more go in the coming 12 months, be that through losing money or, just as likely, owners realising it's a bloody tough gig and going back to former careers before encountering financial peril. Kooinda's new owners unveiled a new look in 2016. One cause of the problem is that a large number of new businesses are targeting the same markets; there remain plenty of untapped towns and regions of Australia that can support one or more breweries but there are plenty of other markets reaching or passing saturation point. Another cause, we'd suggest, is the type of businesses opening with such regularity in the past couple of years. If you ask anyone with years under their belt what business models are likely to succeed in the Australian market as things stand, there's pretty much two: brewpubs and well resourced, large scale production breweries that can achieve the economies of scale required in what is, for the most part, a volume game. There are potential exceptions; there is probably room, for example, for a small number of "niche" breweries who specialise in esoteric styles and do it so well there's enough demand for their beers at a price to make small scale production viable. So what does that mean if you're something else: a gypsy or contract brewing business, or a small or mid-sized production only facility without a retail outlet? Chances are, in either case, that if you're well established, have quality beers, good distribution and an existing loyal fan base, you should be OK. And, if you're a gypsy/contract brewer buying beer off other breweries (and there are plenty with spare capacity who'll happily usher you through their doors) and doing it as something of a hobby with one or more people within the business still earning elsewhere, you've got added security. Aside from that, if you're based in a pretty untapped part of the country and can win over the locals, you should be well set. But don't be surprised to see more people doing what two of the best known contract brewers, Endeavour and BrewCult, have done in the second half of 2016 and opening their own venue. For one, while there are added overheads, it gives businesses an outlet to sell their beer at full retail prices rather than wholesale; it also offers a chance to create more of an identity for what could otherwise be a pretty intangible brand by bringing people into their home. Look out too for brewpub operations adding second production breweries like Canberra's BentSpoke, knowing they have the safety net of an established venue behind them. So, while the overall number of breweries and beer brands will increase in 2017, we'll be bidding farewell to a fair few too. Here's hoping it's not any of those doing it for good reasons and who are dedicated to producing the best, most delicious beer they can. Tied in to the point above (although using far less words), as one brewer said to us last year: "If you really love craft beer, don't start brewing it, open a craft beer venue and help sell all the beer that's already out there." You can pull that statement apart, but there's some wisdom at its core. Nobody has the right to judge whether one person's desire to make beer is more or less valid than someone else's, but if you want to get into the industry and are keen to see something approaching utopia achieved, there's an area in which there's still short supply and it isn't the number of beer brands. Four of The Local Taphouse's Certified Beer Servers. People are becoming more educated about beer: about different styles, who owns what and so on. But you can never have too much knowledge, at least not when it comes to beer. Perhaps the most pressing need for education in the beer industry is of those responsible for putting it into drinkers' hands. As more venues turn to craft beer, not all of them are being opened or run by people with a great knowledge of beer or how to handle it; in many cases, while it's great to see venues abandon contracts and head in a new direction, if it's predominantly a financial decision then there are potential dangers, both in the handling and serving of typically unpasteurised beer (particularly if taps are being rotated through different beer styles) and in staff not knowing what they're pouring (or if a beer is of poor quality). The point of purchase is a prime moment in which drinkers getting into beer can learn. Thus, if the person handing them their pot or schooner doesn't know what's in the glass or who brews it, much of the charm of craft beer – the stories behind beers and brewers, the diversity of styles, the provenance of the beer – is lost. Sure, not everyone wants a sermon with their beer, but for those who do it's important that craft beer venues are run and staffed by people who have some level of knowledge of their product. There are plenty of opportunities to learn already, whether via events, festivals, visiting breweries or reading, while the best breweries will encourage their reps to educate venue staff about beer (the very best reps will happily run staff training that covers more than their own products) and invite venues to send their staff on brewery tours (maybe even to brew a collaboration beer). The best venues have training programmes in place too and the experience of visiting somewhere like The Local Taphouse in St Kilda, The Wheaty in Adelaide, The Grain Store in Newcastle, The Scratch in Brisbane or The Dutch Trading Co in Perth is all the richer for being welcomed by passionate, enthusiastic staff. It's promising to see the Institute of Beer opening its doors and offering a range of educational opportunities – look out for a story on this soon – and hopefully we'll see more from the Craft Beer Industry Association (CBIA) in this area too but we'd love to see all retailers' enthusiasm for selling craft beer matched by their enthusiasm for learning about it. Beer, its history and the community that surrounds it really are fascinating subjects. And [SELF PROMOTION ALERT] one easy step that anyone working at or running a beer venue can take is to ensure they and their staff sign up to the Crafty Pint newsletter that goes out every Friday afternoon (other than the few we take off at Christmas to regain a modicum of sanity). We now have contributors in every state so, in just a few minutes, you'll learn a lot about what's going on in the beer world and will hopefully come away having gained insight and maybe entertained too. It's free, it's independent and it will make you better at your job. You can sign up by entering your email in the box on this page. There's been grumbling a-plenty for quite some time about the prices that some venues are demanding brewers meet to get on tap or the prices at which brewers are willing to sell kegs to secure a space in the market. It will be the subject of a Secret Brewer feature in the early part of this year on The Crafty Pint, so we won't go into it in too much detail here other than to raise it as something of which to be aware. 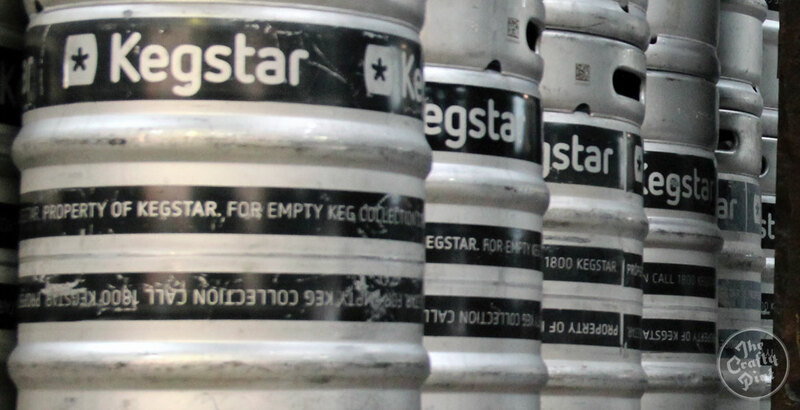 Stories of kegs being sold for $200 (or less) abound. Again putting things in context, that's about two-thirds of the price of some of the mainstream offerings from the multinationals. As one good friend in the brewing industry has argued, it's capitalism and if a business calculates that selling beer this cheap is part of a longterm plan for success then it's a valid move. We won't get into any discussion about the pros and cons of capitalism here, and certainly there's nothing to say that anyone heading down this route is wrong. But it does feel like it has the potential to drag the bar lower and lower, encouraging venues that don't care about much more than the bottom line to see just what they get away with. And, as more brewers become desperate to sell beer, there will be some for whom such low prices aren't financially viable yet who may become tempted to play the game with harsh consequences. Sure, anything that drives efficiency is a good thing, but what steps might people take to be able to sell $200 kegs without going out of business? As with any product, what has to give, what corners have to be cut, what steps need taking to make something cheap? As with any product, shouldn't everyone involved in the buying process be focused on value rather than cost? Taken from a venue point of view, we've long believed that if you want to call yourself a craft beer venue then you need to buy into what craft beer is. In many ways, this is little more than an abstract state of mind but it's one that should have values such as respect, integrity, fairness, quality and honesty at its core. In practice from a venue owner perspective this could mean choosing beers that suit your venue, respecting the brewer and paying the price they ask for those beers (in a timely manner), charging customers according to your margins and offering a quality of service that will have them coming back for more. If a brewer delivers beer that isn't worth the price they're asking, then deal with that at the time and/or don't deal with them again. Extreme downward pressure on pricing is only likely to increase the risk of substandard beer and there's the risk that a race to the bottom cheapens the product and therefore the industry. Add in the factor that those venues demanding $200 kegs are likely to end up offering fonts lined with variations on golden ales or other beers with lower ingredient and excise tax costs to punters, thus barely scratching the surface of what is available in Australia now. And, if we can speculate for a moment, just how many of the venue operators demanding cheap kegs do you think are passing the "savings" on to their customers? 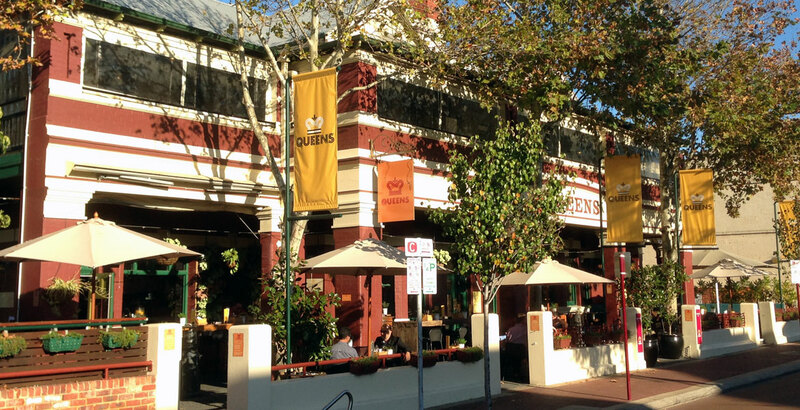 The Queens in Perth is one of the ALH pubs where staff have said they're fighting to retain as much independent craft on tap as possible. The year just gone ended with an example of the big brewers flexing their muscles in signing new deals with the ALH Group's 300-plus venues that will reportedly see 90 percent of their draught beer allocated to Lion and CUB beers. With the Megabrew deal between AB InBev and SABMiller (owner of CUB) wrapped up, expect to see its impact starting to be felt in the Australian market in 2017 too. Whether noises about bringing Matilda Bay back to some form of relevance turn out to be more than just noises, whether it's launching more Yak brands (they have something like 200 names for Yak Ales in the locker) or, more likely, whether it's the buying up of one or more established Australian micros and hitting the market with the likes of Goose Island IPA, CUB's drift in terms of craft beer of the past few years is likely to be over. Lion (owned by Kirin) is already well set to dominate craft beer (if you don't include independence within your personal definition of "craft"). Asahi is rumoured to be keen to snap up another Australian brewery and is likely to start seeing some rewards from its purchase of Mountain Goat, having ridden out the loss of customers that came with the sale while continuing to knock out quality Rare Breeds and other one-offs. And then you have Coca-Cola Amatil/Casella Wines with its Yenda led Australian Beer Co, plus the contract pale ales and golden ales from Coles and Woolworths that, if you don't know their names, can be easily identified as the ones taking prime shelf and fridge space in the "Craft Beer" sections of their stores, usually in between Lion, ABCo and CUB products and situated well above or below the lines from independents. Of course it won't and needn't matter to most. If you like a beer and aren't interested in where your dollars end up, buy it. And, as has been stated many times before, big doesn't mean bad and small doesn't mean good. The big breweries make beers of a consistently high quality, whether or not you like the taste of them, and small breweries put far more inconsistent beers and those with dubious shelf life into the market. But the moves of the major players will add to the pressures on small, independent brewers and could create even greater confusion for punters as more beers that look small and crafty but might be something quite different fight for their attention (hint, read beer media like The Crafty Pint if you wish to stay informed). As an aside to this, we're likely to see (or not see if the arrangements are kept quiet) brewers that need investment but don't want to be seen to "sell out" to another brewery strike up partnerships with investors, be they funds or "angels" with money to spend. Craft beer is seen as an attractive industry by many – one CEO of a successful micro told us a few months ago that they receive several enquiries every week from people wanting to invest – and invest significantly – in the right microbreweries. Perhaps the most high profile and well publicised in recent times has been the former Little Creatures guys who go by the name Made by HAND taking a third share in Boatrocker (as well as investing in the UK's Lost & Grounded) but there are others and more will surely follow. And, as another aside, look out for a fresh wave of new and existing businesses going cap in hand for your support when equity crowd-funding hits Australia in a few months. Read our Big Issue on crowd-funding here and one on Ownership here. Feral is one of many breweries that has been pushing the fresh and local angle independently for years. For all the common messages spread by brewers, venues and consumers of craft beer, we lack a single, coherent campaigning voice for independent Australian craft beer. It's something that is needed now and will only become more important as times passes, in part due to some of the ideas outlined above. Over the course of 2016, we held many conversations on this topic with a range of people in influential positions in different areas of the local beer world and there is huge support for such an idea. There needs to be a clear and easy way for drinkers to know whether what they're drinking is local and independent and there needs to be an easily understood message telling people why they should consider drinking such beers over anything else. 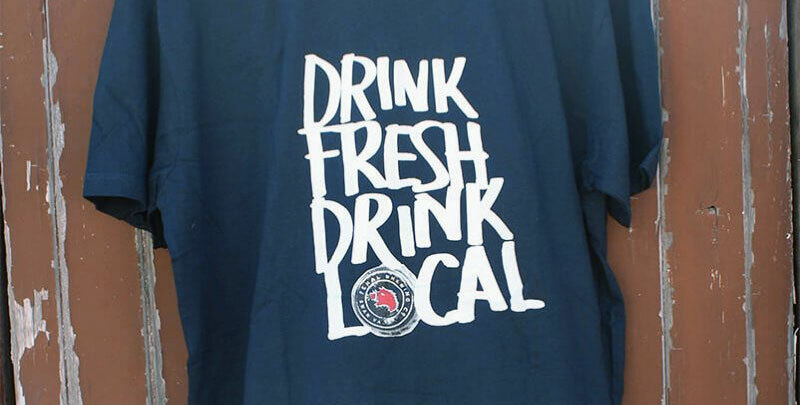 The reasons for choosing local are many: supporting small Australian businesses; freshness; less impact on the environment and so on. And, as more brewers create high quality beers across a vast array of styles, you can satisfy most of your palate's needs with a beer brewed in Australia. But this needs crystallising into a simple and easy to digest message that can be disseminated across the country. We're not advocating a boycott of any beers, be they from the larger breweries (we have listings for Little Creatures, White Rabbit and Mountain Goat on the site and believe they play an important role in the growth of the broader craft beer industry) or from overseas (how can brewers or drinkers benchmark what's happening locally without tasting the very best from around the world?) but the future survival of the independent sector will be well served if it unites in a positive manner to protect itself against those that don't want it to succeed. Some might argue that this is the responsibility of a brewers association and, following the vote by the majority of its members to remove all multinationally owned craft brands, the CBIA will soon have the freedom to get involved in such a project. However, we believe this "voice" would be better served by a separate body focused on this single issue, one with voluntary membership that could encompass more than just craft brewers. That said, membership for brewing companies could be linked to honesty in labelling, something that could also solve many of the issues that concern people in the craft beer world – and remove the need to ever debate what "craft beer" is again. Maybe it's veering into utopian territory once more, but we believe that every beer should list its ingredients in full, ownership of the brand right to the top of the chain, and where the beer is brewed and by whom. It won't be an issue for most local, independent breweries that brew their own beer and it's a move that would give drinkers who care about such things everything they need to know to make an informed purchase. Adding a brewed on or best before date (or both) wouldn't hurt either. The campaign could be tied to some sort of accreditation for those that meet membership requirements; down the line it could perhaps be expanded to include venues that meet certain simple standards in the way they operate too. It might also serve as a reminder that independent brewers need to be working together, not in competition; it's the taps they don't have access to collectively that should be the goal as taking one from a fellow independent might be good for an individual business in the short term but doesn't benefit the industry in the long term. Food for thought, certainly, and something we hope to help take beyond mere conversation in 2017. Well, in the words of a wise man, that escalated quickly... And we didn't even get to topics you might typically expect to find in article like this, such as what styles will be popular (answer: we've moved beyond trends in styles now; just look out for more of everything and hope that brewers remember to focus on what they're good at rather than chasing novelty for the sake of it). 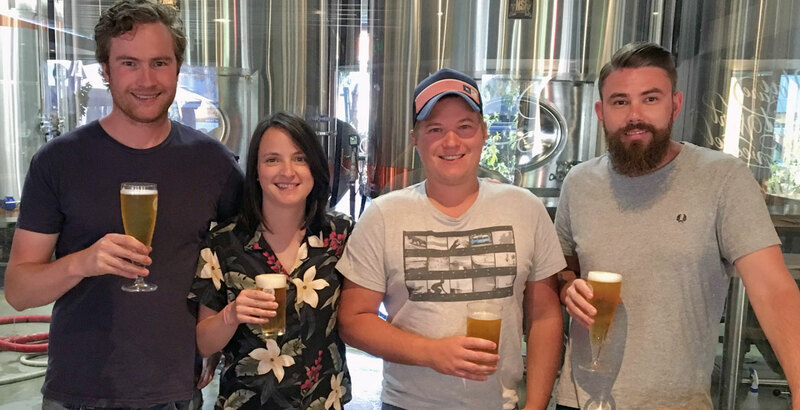 The year ahead promises to be another dazzling chapter in the story of beer in Australia, one that will be better still if we're open and honest about the less celebrated and talked about parts of the industry and take steps to address them. As competition intensifies, it will also pay to remember what craft beer is about and why most people get involved in it, be they brewers, retailers, advocates or drinkers. Some of the unbridled joy of the early years in which we were involved in the industry has been lost by some who are struggling, but it shouldn't be. Craft beer should still be about fun, about doing something different, about chasing flavour and excitement, about community and camaraderie, about bringing people together, about combining great beer with food, art and music, about being better. In a world in which there is plenty of reason to be miserable, craft beer offers plenty of reasons to be cheerful – and, these days, more reasons than ever before.